is a congenital malformation involving cerebellum and the cavity in the brain called fourth ventricle. 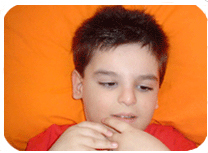 Dandy Walker Syndrome (DWS) is a rare seen congenital disease involving brain and its components. Nobody knows or heards that disease until coming face to face. Click to see CAT Scan of developmental abnormailities in DWS.